Over the years various railway vehicle types have had their life significantly extended by being converted to other (usually departmental) uses. After the Class 405 4-SUB units were withdrawn in 1983, two vehicles were formed into de-icing unit 930003. 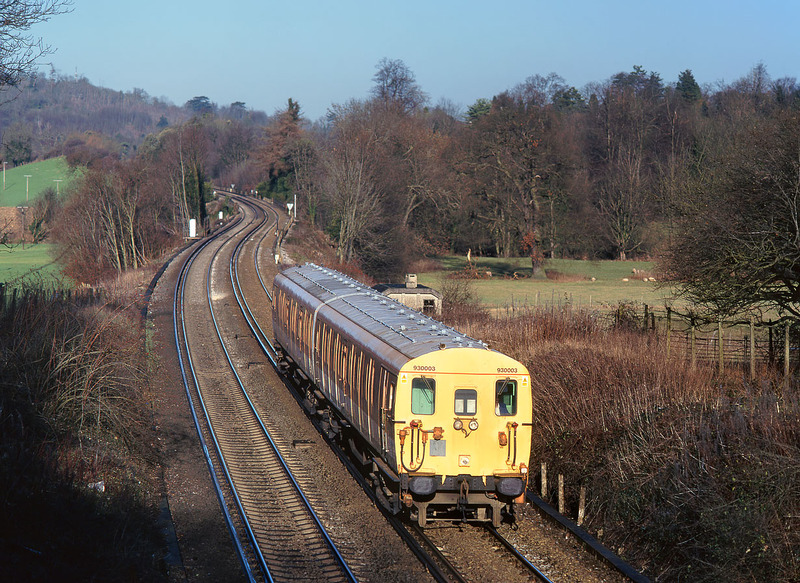 The vintage unit is pictured approaching Westhumble on 7 January 2001.